Ms Atieno Jalang’o is a Lecturer at the Kabarak University School of Medicine and Health Sciences. She is a Senior Clinical officer (Diabetes and Public health specialist). She worked as the IDF Diabetes Education Regional coordinator for Africa for over 6 years. She holds a Bsc in Clinical Medicine and a Fellowship in Diabetes care from University College - London. She has over 17 years’ experience in Diabetes, lifestyle and chronic disease care and education from Coast General hospital, Kikuyu Hospital and Kenyatta National Hospital. She holds a Masters degree in public health (Health Promotion and Education). She is currently pursuing a Phd in Health Education. 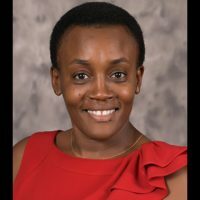 She is a member of The East African Diabetes Study group, Kenya Diabetes study group and the National Secretary of Diabetes Kenya. She has been a regular speaker at the World Diabetes Congress. She is a mother, Christian and motivational speaker.